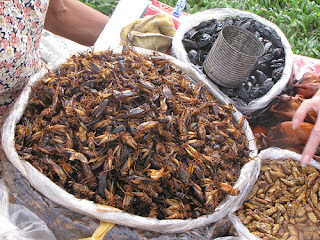 Poll: would you eat bugs? I voted maybe only because it depends on what kind of situation I would be. If I was in a deserted island with nothing but bugs to eat, I certainly would only for survival. Secondly, if someone paid me good money to do it--hell yeah I would! I would, here's a picture of what we call 'camaro'.